Did you ever wonder how to draw a cow’s face and head with the following easy step by step drawing tutorial. 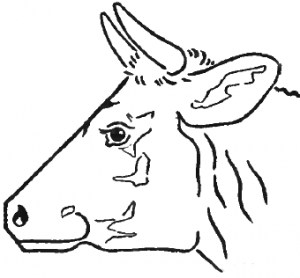 Below you will find easy steps to drawing a cow’s head and face…easy enough for kids, teens, and adults alike to complete. 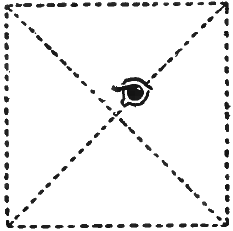 Start off the cow’s face drawing by lightly sketching a square with a letter ‘x’ inside of it. This will be the drawing’s guidelines. 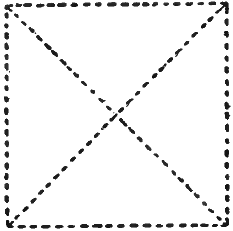 Now, with the guidelines in place, draw the eye on the bottom of the top right line of the letter ‘x’. 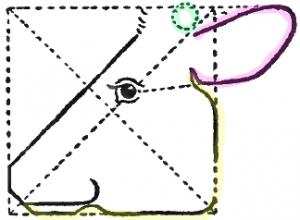 Now draw the cow’s snout by drawing a backwards letter ‘J’ (I highlighted it in pink) and another ‘J’ (I highlighted it in yellow). Now follow the bottom right side of the square for the bottom of the cow’s face…except for a few curves. 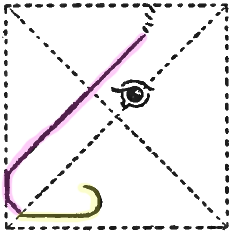 Make the ear as a backwards letter ‘c’ like shape (highlighted in pink). Draw a circle at the top of the ear (highlighted in green). 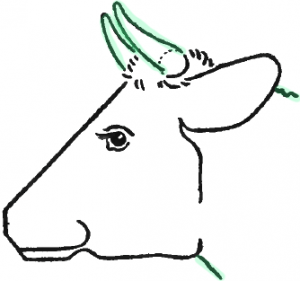 Draw a letter ‘M’ like shape (highlighted in green) for the cow’s horns. Now put in some of the details of the cow’s head. And even more shadows and details. Ah, my first time with this digital art! Found it fun. How to do a front view? I love cows. 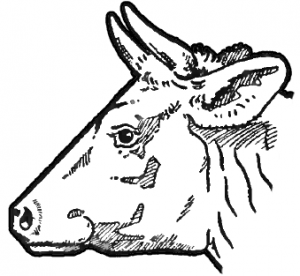 I think this website is great, but I think you should investigate about the cows body. I started drawing the head really small, expecting a body.